There will be more at stake on Saturday night for the Curry family than just a three-point contest title. 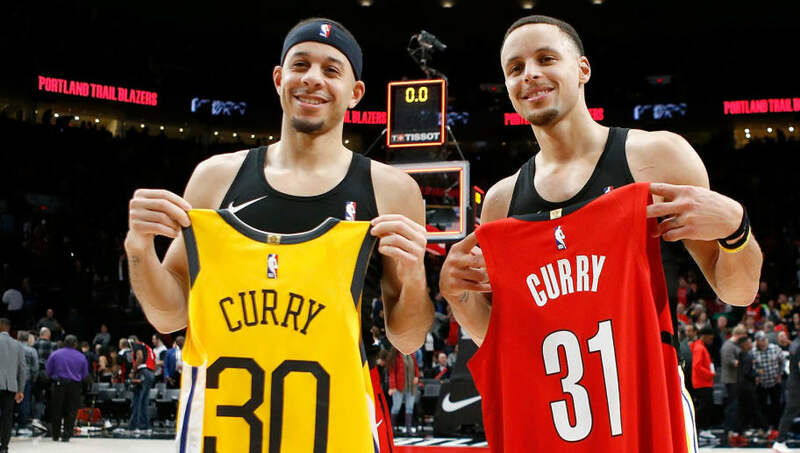 ​Steph and ​Seth Curry will be facing off in the All-Star weekend festivities with family bragging rights on line -- plus they made a fun little side wager. Steph told everyone at media day that the NBA brothers agreed on a bet ​that whoever loses will have to buy all the family tickets for the games in which they play each other...for the rest of their careers. Apparently, the Curry's bring a lot of family to their games. That could potentially be a lot of dough that the loser has to shell out when it's all said and done. For Seth's sake, let's hope Steph loses because it'll be much more affordable for him and his $200 million contract. Now we're just wondering what happens if Seth ends up with the Warriors at some point in his career. Sure, if they are both on the same team they aren't playing against each other, but the brothers would both still be on the same court at the same time. Would the loser have to pick up the tab for every Warriors game? Hopefully the Curry brothers have settled out this potential wrinkle in their bet. Otherwise it could get messy.